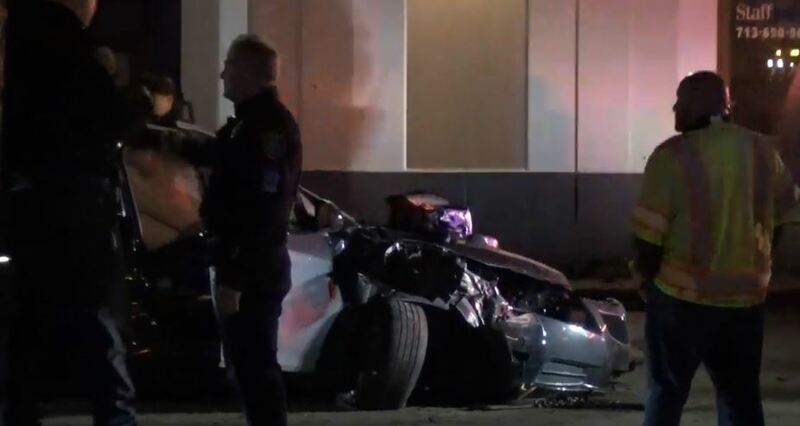 Houston police caught a man wanted on a felony warrant out of Tennessee after he crashed during a pursuit early Wednesday. Police first tried stopping the man around 12:30 a.m. after he committed a traffic violation in the 5900 block of Guhn, near Tidwell and U.S. 290, police said. Officers chased the car but lost sight of it, said Sgt. A. Smith of the Houston Police Department. More patrol officers arrived, and they found the man crashed into a parked car at Hempstead and Pinemont. He fled on foot, but officers captured him, Smith said. The man said he was fleeing because he was wanted. He had a felony warrant in Memphis, Smith said.